Peter Van Hoesen sculpts sounds and tell stories in hugely considered ways. Instead of producing purely for the dance floor, he approaches things from a wider point of view. For Peter Van Hoesen, there are no rules. As such he doesn’t like to be pinned down as a typical techno artist. He enjoys being behind the decks at a club or a festival, but is also comfortable during extended sessions in his studio and in releasing music in such a way that is simply can’t be defined only as techno. Always crafting from the ground up, he composes music for a wide array of settings. From the club to the car, for dancing or dreaming, for listening or losing yourself in. The man raised on coldwave, industrial, post-punk and acid house has always gone his own way, crafting texturally rich electronic music on his own Time to Express and Archives Intérieures imprints as well as many other respected labels. When he does stick to his techno guns, though, he is in a class of one thanks to his focus on texture and groove, to the hypnotic, escapist and abstract qualities of the genre. It results in dance floors that stand transfixed, amazed and pleasured in equal measure. In performance terms as a DJ, Peter is a revered artist who plots long and winding sets that take time to build, but do so in moody, captivating ways. He is also a regular performer in museums, art galleries and many other settings. Also a live specialist, Peter builds his sets from exclusive, brand new material and the results are as detailed and darkly arresting as his finished productions. As well as releasing coherent material under his own name, Van Hoesen also collaborates in unrestricted, avant-garde ways with Yves de Mey as Sendai. So too did he record as Object in the early days, as well as running Foton, a label which focussed on minimal soundscapes and abstract ambient. Excelling in the album format, van Hoesen has released three long players, each of which was vastly different to the last. His label Time To Express was started as an outlet for his own productions. However, over the years it had guest appearances from fellow tastemakers as Marco Shuttle, Donato Dozzy, Dario Zenker and many others. As such, the label has been defining techno trends since its inception in 2008. 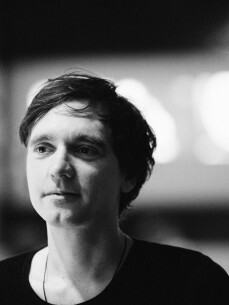 Proving that electronic music is about much more than just a kick drum, Peter van Hoesen is someone who has been around for some years now and is steadily gaining the credits he deserves: he didn’t get here via hype, then, but because of the quality and consistency of his own musical style and personal ethics.